Many factors are important when you’re applying for a job. Your résumé, letters of recommendation, samples of work from past projects—and tattoos. Yes, tattoos are a form of “personal branding,” but as up-and-coming communication professionals, we also need to be aware of how we “brand” ourselves, literally and figuratively. The author then goes on to discuss the pros and cons of having and exposing tattoos. Anyhoo…Becher’s ping reminded me of two things. First up was Chip Coyle, CMO Infor’s guest post on Vinnie Mirchandani’s site. Infor is one of those vendors that many have, until recently, forgotten. A technology roll up company that acquired a slew of ailing businesses in the early 2000s, one always had the impression that Infor was the place that mid-market companies went to die. That perception has proven to be thoroughly wrong. Ultimately a brand is a promise to customers, and a reflection of market perception. This is key, because brand doesn’t end at logo, tagline or website. Consumers can tell the difference between a superficial rebrand and an authentic one. We must deliver on our brand promise, and that means delivering a new generation of software that truly changes the way work is done. Successful branding also depends on creating brand ambassadors to carry the brand forward clearly and consistently. That thought led to the second thing. It reminded me of an i2 conference I attended in Dallas. It was a heady time and the company was brimming with confidence. 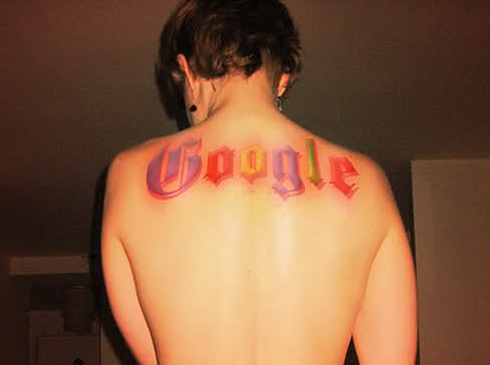 It offered a $500 bounty to those employees prepared to get the company’s logo tattooed on their person. There were long queues outside the tat parlors of Deep Ellum with some employees clearly ecstatic at the prospect. At the time, I remember thinking: ‘idiots.’ I”m all for demonstrating your loyalty to a brand but you can take it too far. Little did I know that within a matter of weeks, i2 would change its logo. Personal branding? OK – I get it. But corporate branding that encourages this kind of behavior? Nuts.